“Fifty years ago, if you walked down any street in America on a warm Monday night you'd hear I love Lucy coming out of every house, on every block” this is the beginning of a great sales pitch by Bob Munro (Robin Williams) to the Alpine Beverage Co. in the movie RV. 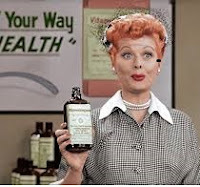 A few years ago, CBS aired “I love Lucy” reruns and based on the ratings it reported that it was tied for second place as far as the key 18-49 demographic goes. Today, if you walked down any street in America on a warm Monday night, you probably won’t find two households watching the same TV show, heck, you won’t even find individuals in the same household watching the same TV show (if they are watching TV altogether). In the world of content it is easier to understand a person based on their past preferences as content is rich with attributes related to one’s personality and motivation and tells a story about their readers and viewers. By contrast, in the world of product retailing, the 2-dimensional objects, traditionally, tell no story and the only attributes they share are of size and color and the like. So, as the world moves from the Coca Cola phenomenon of “whoever you are, whatever you do, think of Coca Cola” one size fits all approach to a very personalized matching of products to individual people, what eCommerce companies fail to recognize is that the next era of online buying calls for marketing product-as-content. Why will the future look like Etsy? This type of personalization needs to be rooted in a whole new approach and philosophy and one eCommerce merchant has that approach and set out to raise the bar on personalization. Hyper individualized marketplaces like Etsy are more inclined to be “Netflix” (content) than “Amazon” (product) in the way they sell one-of-a-kind products to their shoppers. This is the foundation of their amazing success. A new Era where shoppers want to be recognized as individuals and not as another member of the mass market or of a particular cluster, requires new tools. Statistical personalization is not sufficient to transform a product and enrich it with attributes that will tell a story about its shoppers. Even micro segmentations and deep learning systems are failing to do so. Understanding an individual’s personality and motivational traits requires a deeper understanding of Why they buy no just What they buy. Cognilyze is the 1st and only psychology based personalization and recommendation system that knows why people buy and therefore can provide personalization that is highly precise and relevant. Using AI, Cognilyze combines psychology and technology to reach a deep understanding of the shopper building an individual "psychological profile" for each and every shopper. Psychology based recommendations are agnostic to popularity and what other people buy and therefore, products surface throughout the long tail of your inventory to include, cross category, niche and new products as well. To enhances shoppers' experience throughout his or her shopping journey. From "search pages" that intuitively understand the shopper's motives and reasons, through very relevant recommendations that include new, niche and cross category products and finally our "Discovery Pages" pleasantly surprising the shopper with unique products that speak to their deeper wants and desires. So, what does the future hold? Taking Etsy’s philosophy and approach and a complimentary Cognilyze philosophy of technology, we vision a world with Etsy-like shops and Cognilyze-like technology where matching a product to a person will be as individual as matching two people for a date.